Total shareholder return (TSR) has become an incredibly important metric for boards to use to determine executive compensation, with over half the firms in the S&P500 implementing the metric—a number up from fewer than one in five a decade ago. TSR as a metric is deeply flawed, though. It overrates weak companies that merely recovered from depressed valuations, and unfairly demotes elite firms that have slipped, even slightly, or that failed to live up to unrealistic expectations. It’s also distorted by leverage. Say two firms perform exactly the same. The one with more debt and less equity produces a higher TSR on the upside and lower one on the downturn. TSR also is silent about how managers can actually make better decisions. It is a way to keep score, not a formula to win the game. Enter the Corporate Performance Index (CPI). The CPI is a four-pronged test that accurately sums up the totality of corporate performance from a shareholder point of view in a composite percentile score. CPI is correlated to TSR rankings at a rate of 60 percent, so it adds weight and credibility to the TSR verdict for most companies while revealing what’s behind it. The other 40 percent of the time CPI provides a different—and usually far more accurate—assessment of how well a company is performing. Strategic Position: the long-run growth in EVA that investors have factored into the firm’s share price, effectively a “buy-side” consensus outlook. There’s an important, consequential link among these metrics. MVA measures the wealth of the owner, and is the difference between the money put into a business and the value coming out of it. Boards should monitor MVA because shareholder returns come directly from this metric. TSR, in fact, is simply the rate of wealth creation, per unit of value. It comes from increasing the MVA premium over time. Market value added, in turn, comes from EVA. It is mathematically equal to the present value of the EVA profits the market forecasts a firm will earn. This means that increasing EVA is ultimately the real key to driving TSR, making it an ideal tool to manage a business and make better decisions. CPI, then, is a distillation of EVA and MVA into an overall index of financial excellence. It assigns the highest scores to firms that have achieved the best records of profitable growth, that preside over the most valuable and profitable business franchises, and that are strategically best positioned to continue robust growth above the cost of capital for years to come, compared to peers. Firms like those are truly excellent, no matter what their recent TSR may be, and firms with low or declining CPI scores are really in trouble, even if TSR looks good. Boards should turn to CPI and the underlying ratio metrics as a complement to TSR. Firms with high CPI scores can use it to repel undeserved say-on-pay criticism and activist overtures, while low scorers can stay on high alert. There’s also a case that TSR’s role in long term incentive plans should be diminished, and that managers should be rewarded instead for increasing the firm’s EVA profits over time. Turning instead to CPI could lead to better decisions, better incentives, better return to shareholders, and an even greater alignment between pay and performance. Bennett Stewart is an expert in shareholder value and corporate performance management, and CEO of EVA Dimensions, a financial technology firm. Instead of fighting human nature, design systems to make it easy for the selfish, scared and stupid to adopt them. Oversight in an Uncertain World: What Can Directors Do Post-Brexit? This is the first of a three-part series looking at the global economy and uncertainty in 2016. In our next post, we will focus on geopolitics and its implications for business strategy and decision making. The United Kingdom’s vote on June 23 to leave the European Union highlights the uncertainty and volatility that companies face this year. (See my “Why Brexit Really Matters” article in Forbes.) Indeed, the sharp fall in global equities and currency markets on June 24 accentuates the rude awakening. But should the investment and business communities have been surprised? Most polling in the run-up to the vote suggested the leave campaign could prevail. Companies are now scrambling to implement their contingency plans…or to create them. Currency shifts will be the most immediate shock to manage. According to NACD members, the greatest concern they foresee in 2016 is the global economic slowdown and how this will affect their company. This issue outranks other concerns, such as the changing industry landscape or cybersecurity. When looking at the board’s activities, NACD members say that the most important area for improvement is the board’s ability to test management assumptions underlying corporate strategy. The Brexit vote highlights the strategic challenges directors face in today’s volatile world: How can directors make sense of increasingly uncertain economic conditions and what can they do to pressure test the validity of management’s assumptions about future growth? Companies are facing strong headwinds in a slow-growth world. In April, the International Monetary Fund (IMF) downgraded its outlook for global growth this year to 3.2 percent—barring any system shocks. This is about the same rate as last year. The IMF downgraded the outlook for most major economies as well (see chart). In June, the Organisation for Economic Co-operation and Development (OECD) fretted that the global economy is “stuck in a low-growth trap.” Shortly thereafter, the World Bank issued a more negative forecast, saying global growth would come in at only 2.4 percent this year, down substantially from the 2.9 percent pace it had projected just several months before. Of significance, there are few positive country narratives. The United States is a relatively bright spot, with the IMF expecting 2.4 percent U.S. growth in 2016—the same as last year, but lower than the IMF had forecast in October 2015. The Business Roundtable recently downgraded their expectations for U.S. growth from 2.2 percent to 2.1 percent, based on concerns over impediments to trade and immigration. And, as most Americans feel, U.S. growth is neither robust nor equally enjoyed. Europe looked like it might have been turning the corner: Business and consumer sentiment had improved, productivity had increased, and GDP growth strengthened significantly. But growth across the eurozone in 2016 is expected to come in at just 1.4–1.6 percent—barring a sustained Brexit shock. Over the past decade or so, many companies have globalized and bet heavily on emerging markets (EMs)—sometimes dubbed “rapid growth markets.” This strategy could be easily justified by management when EM growth rates consistently outstripped those of the United States and Europe by five percentage points or more. But these markets have been underperforming in recent years and their outlook has been consistently downgraded. This year, the World Bank expects emerging markets to grow by just 3.5 percent—about two percentage points below their average growth over the past decade. Moreover, EM performance will continue to be uneven and uncertain thanks to poor governance—as exemplified by a massive corruption crisis that has gripped Brazil’s business and political communities. India continues to be a top performer at 7.5 percent growth, but the reform-oriented government there has made little headway tackling the myriad of bureaucratic impediments to investing and doing business there. And while China is still doing relatively well—with its growth expected to be in the 6.5–7.0 percent range this year—this performance has come thanks to renewed stimulus and the expansion of debt, which raises more questions about the sustainability of China’s trajectory. At the same time, Western companies conducting business in China are facing increasing political and regulatory headwinds, not to mention a much more competitive business environment. Uncertainty is rooted in the fact that traditional cyclical drivers such as business capital investment and consumer spending seem to have lost their oomph. In short, in our chronically slow-growth world, businesses don’t want to invest and consumers don’t want to spend. Moreover, productivity, profits, wages, and trade growth are stagnant as well, and many economists believe that income inequality is exacerbating the slow-growth problem. On top of this, the growing influence of geopolitical risks—the Brexit vote, the upcoming U.S. presidential election, refugee migration, and China—are adding new and hard-to-quantify variables to the outlook. Given this context, the severe market volatility seen during the summer of 2015 and in January 2016 points to profound uncertainties about the future and to how easily perceptions and the markets can get shaken in our slow-growth world. A resurgence of sustained global market volatility triggered by the Brexit vote has the potential to derail global growth. In this uncertain and volatile world, directors should be testing management’s assumptions about growth—now and in the future. Start by confirming the baseline: Does management’s view of macroeconomic growth for 2016 in the company’s key markets align with the market consensus? Get your own perspective. As noted above, we rely on the views of multilateral organizations—such as the IMF, World Bank, and OECD—for a global perspective. Their economic outlooks are easily accessible and widely viewed as a reputable baseline around which to test assumptions. The OECD has put together a handy one-page summary chart focused on advanced economies that a director can take to a board meeting as a reference. The World Bank has an easy-to-navigate website for exploring regional and country economic outlooks. Central banks also are a good source of country-level data. What data sources does management rely on? Does management’s view differ materially from what others are saying? What assumptions support a divergent outlook? How does management account for political risks? Next, test management’s view of the future. Economists have had to significantly downgrade their expectations of U.S. and global growth and the economic headwinds are not expected to diminish over the next several years. Has management adjusted its growth projections downwards as well? What is management’s two- to three-year view of China and other emerging markets? Do the company’s plans reflect a slow-growth environment going forward? Given widespread uncertainty and the risk of volatility, management should be able to present a range of alternative market scenarios. Does management have an economic disruption scenario? How has management sought to make the company more resilient to the uncertainty and volatility in the global market? Many directors we have spoken with have highlighted the challenge of managing near-term foreign exchange risks. What steps has the company taken to hedge against swings in key currencies? If management says the company is going to significantly outperform its peers or the macro economy—especially in emerging markets—that is a yellow flag that should signal you to dig deeper and ask more questions. NACD’s Global Board Leaders’ Summit in September, themed around the issue of convergence, will have dedicated sessions on global economic and political disruption, featuring subject-matter experts and seasoned directors. SACRAMENTO, Calif. – Diane D. Miller, the President and CEO of Wilcox Miller & Nelson in Sacramento, California, has been appointed to the AARP Foundation Board, which is based in Washington, DC. Ms. Miller is President and CEO of Wilcox Miller & Nelson, a firm specializing in human capital management and governance consulting. She is a current Board, Audit Committee, PAC and Executive Committee member of the California Chamber of Commerce, the second largest state chamber in the United States. She is a Board member and a former Board Chair of the California Host Committee, which annually gathers the top 1,000 California industry and government leaders. As well, she is one of the founders and a former Chairman of the Northern California Chapter of the National Association of Corporate Directors. Ms. Miller served as a Regent for the University of the Pacific from 2007-2016, where she chaired the Audit Committee and served on the Executive Committee. During her tenure she also served on the University’s Technology, Compensation, Presidential Search, Branding, and Strategy Committees. A director of Umpqua Holdings (a NASDAQ-traded financial services company in Oregon, California, Nevada and Washington) from 2004 to 2013, Ms. Miller served on the Compensation, Audit, and Loan and Investment Committees as the company grew from $1 billion to $12 billion in assets. Ms. Miller is also a former Board Chair of the Sacramento Metro Chamber of Commerce. 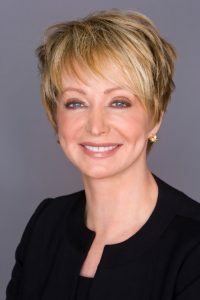 A certified public company director through the Director Certification Program at UCLA’s Anderson School of Business, Ms. Miller holds a current Certificate of Director Professionalism, Board Governance Fellow, Master, and Cybersecurity designations from the National Association of Corporate Directors (NACD). Since 2007, she has been facilitating public, private and nonprofit company board evaluation and governance education programs. The mission of the AARP Foundation is to win back opportunity for struggling Americans 50 and over. The AARP Foundation has the ability to support and work with local organizations and programs nationwide to coordinate, fill in the gaps and help effective initiatives grow. The Foundation targets efforts on four key, interrelated priorities where action and legal advocacy can have the greatest impact: income, housing, hunger, and isolation. Founded in Sacramento, California in 1979, Wilcox Miller & Nelson (WMN) has more than 37 years of experience providing retained executive and board search, governance consulting, and executive transition and coaching services to a national clientele. The firm is a shareholder of Career Partners International. Established in 1987, Career Partners International is one of the world’s largest and most successful global providers of talent management solutions. Organizations of all sizes and industries turn to Career Partners International to successfully assess, engage, develop and transition talent using the expertise of over 1600 highly experienced professionals in the areas of assessment, executive coaching, leadership development and outplacement. With more than 200 offices in over 40 countries around the world, Career Partners International assures that its clients have local experts in talent development, career management, executive coaching, outplacement and career transition services. Additional information can be found by visiting cpiworld.com. If you’re considering changing your mind and rescinding a job offer, you probably should – whether or not it has been accepted. This Thursday, the United Kingdom (UK) will vote in a referendum on whether to leave the European Union (EU)—referred to as the “Brexit.” Opinion polls have shifted sharply over the past two weeks to indicate that the likelihood of Brexit has increased substantially, but Frontier Strategy Group continues to believe that the UK will vote to remain in the EU, albeit by a very small margin. Opinion polls have been extremely inaccurate in the past two UK elections and we believe some hesitant voters will choose to remain in the EU in a conservative bias that we saw in both the parliamentary elections last year and in the Scottish referendum. Markets are also interpreting the murder of pro-EU Labour MP Jo Cox as likely to damage the Leave campaign. A narrow win for the Remain campaign—our baseline scenario—is unlikely to alleviate the grievances of those supporting Brexit and would cause deeper tensions within the UK’s Conservative Party, raising the likelihood of early elections and another referendum in the next couple of years. While the economic impact of these trends would be relatively modest, lingering uncertainty would cause investments to underperform. Should Brexit happen, however, multinational businesses would be affected in several key ways. Besides the initial financial volatility and somewhat weaker growth in Europe, most of the broader effects of Brexit outside the UK would be slow-moving, although their long-term implications could be significant enough to reshape the European Union. Companies need to be prepared for short-term volatility—particularly of currencies—but should Brexit occur companies can expect to be gradually adapting to its effects for at least the next two to three years. The possibility of Brexit has already rattled currency, bond, and equity markets and this volatility will increase in the immediate aftermath of the event should Brexit occur. The British pound could depreciate by as much as another 10–20% against the United States’ dollar (USD) in the aftermath of Brexit, and the euro would also likely lose value, possibly as much as 5–10% against the USD. The scale of the losses would likely be temporary, but neither currency would be likely to recover to pre-Brexit levels. Brexit would also dampen investment confidence, softening commodity prices and causing overall financial market uncertainty. Added to a backdrop of weak global growth and deep concerns about China’s slowdown, Brexit would prompt another bout of volatility that would cloud corporate expectations and complicate 2017 planning for emerging markets generally. Brexit would cause a slowdown in UK investment and business activity. A similar, though smaller, effect would be likely in the EU as a whole. Markets strongly linked to demand from the EU—such as North Africa, Eastern Europe, and parts of Asia—would see a softening of demand for the next 12 months that would affect industrial performance but would not disrupt growth trajectories. The demand effect for other parts of the world would likely be negligible. As corporate leaders gear up for 2017 planning, they would have to dedicate more analytical energy to identifying sources of growth in Asia, the Middle East, Africa, and the Americas to compensate for weaker performance in Europe. Brexit would raise a host of trade issues from the future of the Schengen Area to the outlook for the Transatlantic Trade and Investment Partnership, all of which would increase uncertainty over the cost and structure of supply chains that involve the EU. Any tangible effect on supply chains, however, would likely materialize over a period of several years, giving companies ample time to respond. It would, however, raise fundamental organizational issues such as where companies’ European headquarters will be located, tax rates, distribution-chain structure, and other concerns that should be factored into 2017 and longer-range planning as well as profitability targets. Making changes earlier could yield valuable competitive differentiation for cost and talent. Brexit’s most dangerous effect could be to galvanize anti-EU sentiment and populist parties across the EU, setting into effect a series of policy disruptions in the region that could weaken the EU, slow down EU integration, or even lead to other EU members exiting the union. All of this would undermine the EU’s economic outlook, and force multinational corporations to manage political risk in this usually stable region much more closely. While that would be unlikely to have ripple effects globally, it could contribute to greater instability in the Middle East and Eastern Europe if it coincided with increasingly isolationist foreign policy from the United States. Overall, Brexit would put greater pressure on regions outside of Europe to deliver strong results that can compensate for years of underperformance by the UK and the EU in corporate portfolios. This may be a big challenge in the current global growth environment, requiring an even greater focus on agile strategies that emphasize strong competitive positioning, careful risk management, and a reshaping of how companies plan to win in emerging markets. What is our company’s exposure to short-term currency volatility of both the British pound and the euro? How would significant depreciation against the dollar affect our overall revenue and profit targets for this year? Have we developed alternative international growth strategies that rely less on demand in Europe? What production and distribution disruptions are we likely to face in our European operations? How should we adjust our long-term outlook for doing business in Europe? What economic and political risks are now more likely and more significant to our company? Joel Whitaker is Senior Vice President of Global Research at Frontier Strategy Group (FSG), an information and advisory services firm supporting senior executives in emerging markets. The flexibility and adaptability of employees as they help drive their ownership of “return on employee investment”. Understand the LEADERS ROLE in achieving company goals and objectives, helping create clear lines of sight as to what is driving the business and the company’s marketplace is a crucial 1st step. LEADERS AT ALL LEVELS reported feeling less stressed, felt more energized by their ability to act, and felt more confident that they were making a contribution to the company. RESPECTED SENIOR MANAGERS spearhead the process. Their engagement is not ceremonial. They conduct interviews and draw the canvases. EMPLOYEES ARE ENGAGED in defining what leaders should do. The process makes employees feel more deeply engaged with their leaders because they have greater ownership of what their leaders are doing. EMPLOYEES AT ALL LEVELS should have some say in the final decision. IT’S EASY TO ASSESS whether expectations are being met. Clarity about what needs to change to move from the as-is business climate to a more engaged one is simple to monitor. “INCREASED EMPLOYEE ENGAGEMENT has a DRAMATIC positive effect on improving job performance and capturing business value”. Or another way, ROI. “WHAT IS THE DISTINCTIVE DIFFERENCE between a good company and a truly great company? IT’S PEOPLE. The people who make up a company are that organizations unique and biggest asset. It’s also the largest investment”. “A COMPANY IS AS GOOD AS ITS EMPLOYEES.” We are used to talking about a company as if the organization itself is a PERSON. But an organization does not generate ideas, does not give service, and by itself is neither efficient nor productive. People make all those things HAPPEN”. “TOWERS PERRIN discovered that high engagement firms grow their earnings-per-share (EPS- is a crucial measurement looked at by investors) at a faster rate (28%) while low engagement firms experienced an average EPS growth rate DECLINE of 11.2%. “THE CENTER FOR HUMAN RESOURCE STRATEGY at Rutgers University found that highly engaged business units were ON AVERAGE 3.4 times more effective financially than units that were less engaged. “A 2008 BLESSING WHITE STUDY demonstrated a correlation between engagement and RETENTION- 85% of engaged employees planned to remain with their employer for ten or more months”. “UPPER MANAGEMENT ESTIMATES-COST to replace a $150K executive: 300% or $450K”. LEADERSHIP: Employees are desperate to have meaningful relationships with their managers. COMMUNICATION: Good Management starts with open, honest and continuous communication. CULTURE: A positive corporate culture results in a more profitable company yielding a larger return than the overall market. REWARDS & RECOGNITION: More than two-thirds of employees say they would work harder if they were recognized more. PROFESSIONAL & PERSONAL GROWTH: Find out how your employees like to stretch, giving them the opportunity for growth. ACCOUNTABILITY & PERFORMANCE: Everyone wants to belong to a winning team. People who perform well feel good about themselves. VISION & VALUES: If employees feel like a part of something bigger than themselves, they will go above and beyond to contribute to that greater purpose. CORPORATE SOCIAL RESPONSIBILITY: Employee Engagement levels are twice as high among employees who say they are proud of the contributions their company has made to the community. As you took the leadership effectiveness questionnaire and guessed at the national metrics, and as you scored your organization, how did you do? How would you feel members of your leadership team would rate your company? What internal or external dynamics/issues are holding your company back to achieving the desired growth at both the top and bottom line and anticipated ROI sought by senior management/investors? How many of you or your team make it a point in partnering with or to sit with the CFO during the functional budget cycle when reviewing headcount by department i.e. during the AOP, annual operating plan, regarding rationalization of existing headcount and/or adding headcount? How many of you actively seek to ensure the HR function is significantly represented in the strategic planning process? Do you have the right people in the right positions in alignment with current business goals? What are your next steps as you work together as a leadership team to create a culture that is focused on Return On Employee Investment? Prospective employers faced with the challenge of hiring qualified employees routinely check job references and interview past employers to verify the employment history and qualifications of their applicants. Checking references is one of the real means of verifying the truthfulness of the information provided on a resume or during a job interview. Your resume may get you an interview, but your references will get you the job. Don’t underestimate the power of your references. When choosing job references for your resume careful consideration should be given. One bad, lukewarm, or incomplete reference could be the deciding factor between you and another qualified candidate. Former/present bosses, supervisors, managers, colleagues, subordinates, former customers or clients, former professors, or professional colleagues from work-related associations or volunteer work. Bear in mind that even if you do not list a former employer as a reference, they may be contacted and interviewed, which makes a very good reason to include one or two on your list. A good reference candidate should be someone who bolsters and confirms the details of your resume and offers positive feedback regarding your work or educational skills and experience. Below are samples of the types of basic questions that reference checkers might ask. The phrasing of each question is just an example, but the gist is typical. What were the beginning and ending employment dates for this individual? What was this individual’s beginning and ending salary? What positions did the individual hold? Did this individual earn promotions? What were the individual’s most-recent job duties? Why did the individual leave your company? Is there any reason why your company would not rehire this individual? Would you recommend this individual for a position at another company? Why or why not? How did this individual’s performance compare to other employees with similar job duties? In your opinion, what are the individual’s strengths? Weaknesses? Did this individual get along well with management and peers? Was this individual a team player? Was this individual a motivated self-starter? Did any personal problems affect this individual’s work performance? Do you think this individual will perform well as a [job title]? What kind of job is best suited for this individual’s abilities? How would you describe the individual’s overall performance? Is there anything of significance you’d like to add? Below are samples of the types of questions that reference checkers might ask for professionals, managers and executives, in addition to the basic questions above. As with the basic questions, the phrasing is just an example, but the gist is typical. How would you describe the individual’s leadership, managerial or supervisory skills? Is this individual able to think strategically? Does the individual communicate well orally and in writing? How do you rate the individual’s ability to plan short-term? Long-term? Did the individual make sound and timely decisions? Did the individual get along well with management, subordinates and peers? Did the individual plan, administer and make budget well? How would you describe the individual’s technical skills? Did the individual demonstrate honesty and integrity? How well did the individual manage crisis, pressure or stress? Describe the individual’s ability to attract and counsel top talent. Once you have chosen four or five potential references, you should call them and ask if they mind providing a reference for you. If it has been awhile since you have talked to them, this is a great opportunity to bring them up to speed on what you have been doing, and also to confirm their phone number, address, and preferred method of contact. Prospective employers are not detectives and will not waste time tracking down outdated information. No reference could be just as harmful as a bad reference. Therefore – verify your contact information. Our experience with recruiters revealed that they are most impressed when candidates are able to provide 3 references covering all levels, i.e. their immediate superior, their peer and their subordinate. This represented a good spread of coverage, i.e. the candidate displayed ability to work well with all levels. Make it easier for your references! Bear in mind that your references are doing you a favour and therefore, you should make it easier for them to say yes! It also makes sense for you to save them time by providing a write-up of yourself to them as reference material. We came across good candidates who provide very comprehensive write-ups of themselves and impress their references further to show that they are proactive. Imagine the confidence you will have when you walk into a job interview knowing your references are going to speak positively about you. Some of the globalization trends over the last few decades such as automation, digitization, call centers and off-shore processes have impacted the worker in a number of ways. Innovation and speed are keys to business success in a world of exponential change and technological advancement. These market trends will ask that both organizations and individuals think creatively and quickly to break inflexible strategies and old paradigms that no longer function in a constantly changing environment. Outsourcing and automation are cost saving strategies that reduce the numbers of jobs but individuals can enhance their employability by taking responsibility at whatever level of the hierarchy they function. In sum we all become “eyes and ears” for the business to innovate change for whichever processes we manage. In addition all of the individuals with whom we interact are our “customers” so that we regard all business processes as part of the overall “sales” process. NACD elected Dr. Karen Horn as its board chair last week during its board of directors’ meeting. She succeeds Dr. Reatha Clark King, who had held the position of board chair since 2013 and will now serve as chair emerita. Horn, who was a commissioner of the NACD Blue Ribbon Commission (BRC) on the Effective Lead Director and co-chair of the BRC on the Board and Long-Term Value Creation, joined NACD’s board in 2011 and has most recently served as NACD’s vice chair. She also serves as the chair of the nominating and governance committee of the Simon Property Group Inc., as vice chair of the National Bureau of Economic Research, and as vice chair of the U.S. Russia Foundation for Economic Development and the Rule of Law. Previously Horn was a director of Eli Lilly and Co., where she was lead director and chaired the compensation committee; of Norfolk Southern Corp., where she chaired the audit committee; and of T. Rowe Price Mutual Funds. She is a senior managing director of Brock Capital Group. Horn also has been the global head of Marsh Private Client Services, the head of international banking at Bankers Trust, and the sixth president of the Federal Reserve Bank of Cleveland—the first female president in the Federal Reserve System’s history. For more information about NACD’s board of directors, visit www.NACDonline.org/NACDBoard.